Dr. Van Ornum is an authority on biomechanics, human movement, and performance who also implements a Paleolitic diet in his everyday life. He works at Finish Line Physical Therapy in New York City, a clinic specializing in orthopedic rehabilitation and athletic performance. Dr. Van Ornum utilizes an eclectic approach that examines the entire physiological system. When addressing the human body, he considers the whole to be greater than the sum of its parts. Nutrition, movement quality, lifestyle, and environment must function together in harmony for optimal health. Additionally, different forms of human movement and exercise result in different hormonal and metabolic changes throughout the human body. Whether you want to move without pain, maximize your workouts to enhance the results of your Paleolithic lifestyle, or lose/gain weight Dr. Van Ornum can provide you with an individualized program for successful attainment of your goals. 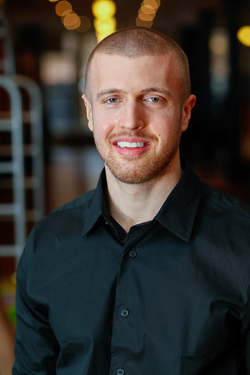 Dr. Van Ornum graduated from Boston University with his Doctorate of Physical Therapy. He is also recognized as a Fellow of Applied Functional Science by the Gray Institute, an international leader in the field of human movement and performance. He primarily rehabilitates injured endurance and strength athletes but also works with a variety of private clientele ranging from “weekend warrior” athletes, elite national level competitors, or those simply wanting to look, move, and perform better.